The Colombo marble floor medallions are crafted to deliver a unique and stylish focal point in your custom built home marble foyer. The floor medallion brings to your home the very best from two of the greatest European countries. The best marbles are mined in Italy, while some of the best designs come from Spain. This fantastic floor medallion brings the best of both worlds. 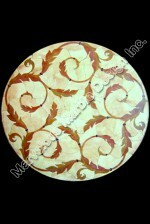 The floor medallion design is crafted on Italian marble and the design is truly one of the most amazing Spanish designs. 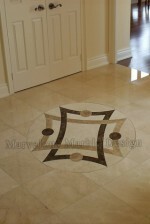 The superior quality of Italian marble from which the floor medallion is made from ensures they are no visible seams between the marble pieces used. The natural floor design is water jet cut using a CNC high-power water jet machine and is assembled as tightly as possible. The tight assembling of the pieces ensures that nothing falls out of place. The stone is highly polished for a shinny and splendid looking finish. This floor medallion design is sealed and there are no gaps between the individual pieces. The floor design is fantastically finished with no grout between the pieces. This is what makes this floor medallion’s design unique and eye catching. 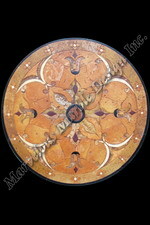 If you love colors this medallion brings to your custom built home some great colors. The design has a beautiful white color and a mixture of imperial gold, French vanilla, black galaxy, yellow onyx and rojo alicante. The colors are shades of different commonly used colors and are loved around the world. The borders on the design are subtle and lovely. The design includes two borders on two levels. The inner border is done in imperial gold color which makes it visible though it is very thin. The outer border on the other hand is crafted in black galaxy. This border showcases one of the qualities of a great designer and craftsmanship. The Colombo marble floor medallion’s design is made complete by beautiful patterns from various parts of Spain. 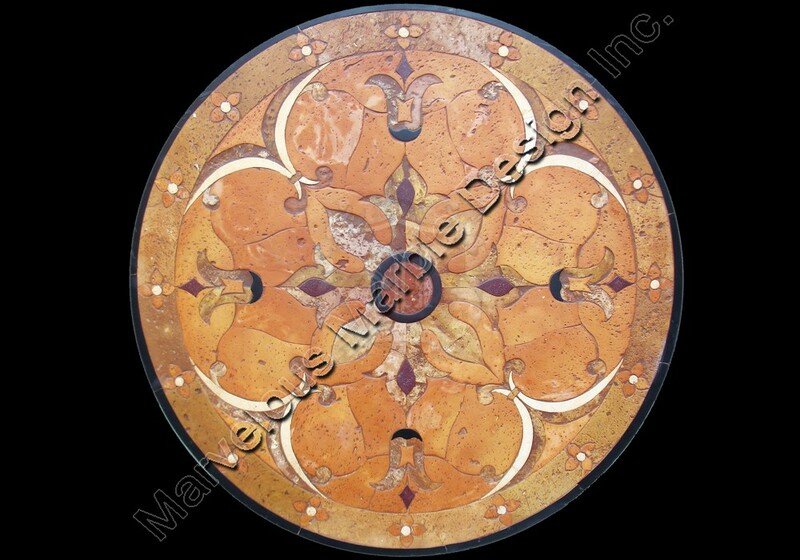 Colombo marble floor medallions are available in a range of standard sizes including 36 inches, 48 inches, 60 inches and 72 inches. In addition to these standard sizes you can also have it in any custom size that is required in you luxury home. For installation, white grout does the trick of bring out all the accents in the fashionable way. Where needed the thickness can also be trimmed to enable flushing with the floor for a great finish.